Italian company Lighthouse (formerly G.A.S. Geological Assistance and Services) has many expansion plans in other countries of the Caspian basin, Alberto Panti, the branch manager of the company, told Trend. "Lighthouse is present in Kazakhstan since the 2004 and has been involved in the main offshore projects, for example the giant Kashagan field," he said. He went on to say that certainly, due to the positive overall working track record in the Caspian Sea, the company is looking forward to achieve more goals during carrying out business activity in this region. "In this regard, Convention on legal status of the Caspian Sea recently signed at the fifth Caspian Summit in Aktau, Kazakhstan, on August 12, 2018 is a positive signal in terms of future cooperation between the states and possible co-shared new development," the branch manager said. Further, he mentioned that in 2018, Lighthouse successfully completed the geophysical and geotechnical survey inside the Pearls Project, in the Kazakh sector of the Caspian Sea. The Pearls Project envisages the development of the Khazar and Auezov fields in the north Caspian Sea. The field is operated by Caspi Meruerty Operating Company (CMOC), the consortium between Shell EP Offshore Ventures Limited (55 percent), KazMunayTeniz OOC JSC (25 percent) and Oman Pearls Company Limited (20 percent). "We are extremely pleased that the offshore activities have been completed smoothly, within the budget and without any lost time injury," Panti underlined. Speaking of the differences in work carried out in Kazakhstan and Azerbaijan, Panti noted that work conditions are different in these countries. "This also includes certain climate differences, which, of course, affect some tools and techniques that we are using during performance of our work. 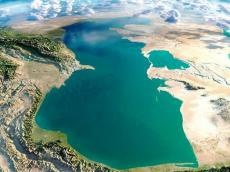 For example, due to a relatively harsh climate in the northern part of the Caspian Sea, main active operations in that area are conducted between April and October. Also, we combine different types of equipment because the sea depth in the northern Caspian is in many cases not more than 8-9 meters," he underlined. Further, Panti stressed that since 2012, Lighthouse has been involved in survey work for the main offshore activities in the Azerbaijani sector of the Caspian Sea, such as Absheron, Shah Deniz, Azeri-Chirag-Gunashli projects. Lighthouse currently provides investigation services within the Shah Deniz-2 project. Since 2012, Lighthouse is providing geophysical and geotechnical investigations as well as survey and positioning services for offshore oil & gas projects during construction activities. The main purpose of the investigation activities is to detect any geohazards (any possible constraints and hazards from man-made, natural and geological features which may affect the operational or environmental integrity of a planned drilling operation), which may represent a possible risk during the several execution phases of any offshore oil & gas projects and to carry out appropriate operational preventive measures and practices for mitigating any risks identified.